As I wrote earlier, there seem to be various approaches to AP science studies. In our province there are three levels of university entrance physics and chemistry: Grade 11, Grade 12, and AP. To enter university, students need only Grade 12; to challenge first year courses, they need AP. While the Apologia science texts are written for families without scientist parents, I think that tweaking the courses like this might be difficult without input from a scientist. Your provincial or state curriculum requirements are most likely available online. If your students study Apologia science, they are getting an excellent science education. If they plan to go into the sciences or engineering (or certain business programs, we discovered), they may be required to study the advanced sciences, but unless they plan to write the AP tests, they will not need to learn the entire textbooks. If you need to drop parts of the course, you will probably need a science teacher or a scientist to help you determine which chapters are required in your area. For your own peace of mind, remember that most high school teachers do not finish the textbook they are using. Finishing a textbook is something most homeschool parents try to do, but it’s not routine in schools. In conclusion, if you choose to tweak Apologia’s Advanced Chemistry or Advanced Physics, don’t agonize over it. Remember that very few high schools, either public or private, have science teaching of as high a quality as the Apologia texts, so your student will be getting an excellent science education even if you make a ‘mistake’ while tweaking. So just get some help deciding what to drop and what to study, and then concentrate on enjoying and learning the course. As a final thought, my professor friends assert that the most important prerequisite for success in university chemistry, physics, and engineering is math. Of course, to get into these university programs, students will need the sciences, but to do well at a university level, they will need math. I’ll say it again, because it’s such a foreign idea to many homeschoolers: For success in the physical sciences and engineering, a thorough grounding in science, while helpful, is not as important as a thorough grounding in math. So make sure that your science-oriented students learn math very well. May God bless you as you prepare your teens for his service! Disclosure: We purchased the Advanced Physics program, which is unfortunately only available as a first edition. Almost two years ago I reviewed the second edition of the Advanced Chemistry program for Apologia and received a copy from them in order to do so. 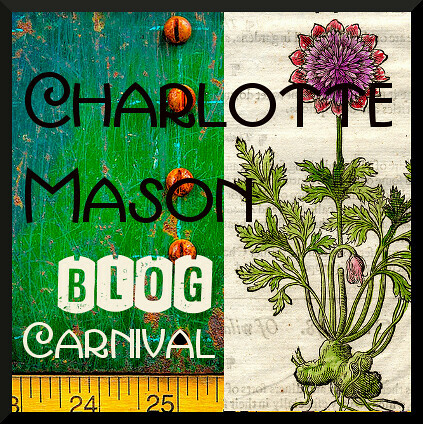 This post is linked to the Carnival of Homeschoolingand to HomeSchool High. Is this Course Grade 11, Grade 12, or AP? Posted in: High School, Homeschool Tips, Planning. 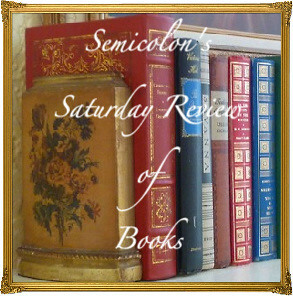 Do you mind sharing the chapters you left out of the advanced books to tweak it?? I am in the same boat in Manitoba! I had my son read the chapters I left out, and I think he did some of the review questions as a quiz for those chapters, but he did not study them and did not do any problems. In Advanced Chemistry: 8,10,11,12,13,14. Note that in the review section (ch 15,16) he managed the questions on the skipped sections OK, but I did not require him to do them. How do you think these books might work in a Christian high school class setting? Can homeschooling material like this be adapted to the classroom? It seems the best Christian and creationist science materials are all oriented to homeschooling! Yes, Jon, they can easily be adapted to a classroom setting. I’ve discussed this question with people on high school education committees, and the problem seems to be that the textbooks do not align perfectly with the government curriculum guidelines and therefore need to be adapted differently in different jurisdictions. A good teacher should be able to do this, though, and once it is done he/she can share the adaptations with others in the same area. At the bare minimum, I think Christian high school teachers should have access to these books as part of their personal resource material. 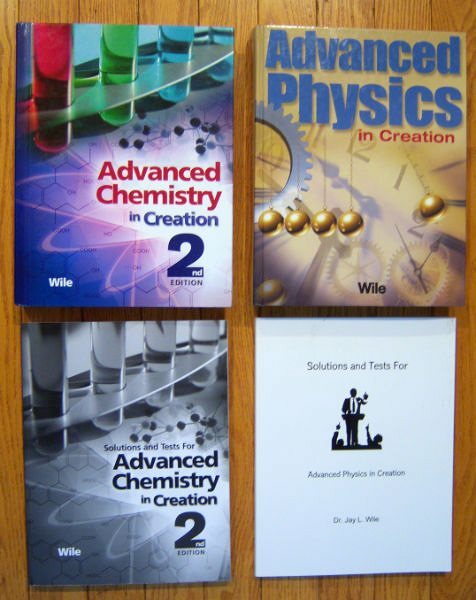 There are also excellent Christian creationist materials available for less academic students. Thank you for your thoughtful opinions on this topic. My child has done the Advanced Biology & will be starting the Advanced Chemistry this fall. I’m curious to hear what you have done for the math for your children – as I really agree with your comment regarding the math education being of prime importance. Sorry for the late reply, Carmen! We have typically used Singapore’s NEM with selections from Life of Fred’s upper level texts for high school math but with my youngest two we are trying out Saxon and we are happy with it. I think Saxon is much more thorough than Life of Fred and easier to understand than Singapore’s NEM. But there are many other resources out there as well.